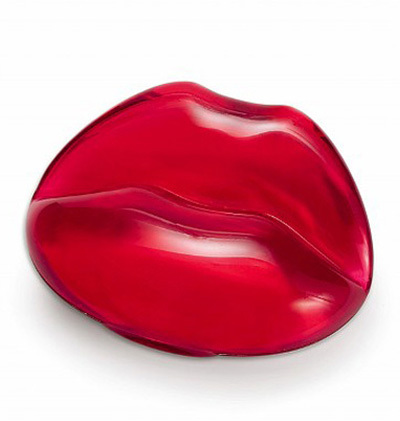 travelifehistory: What is the ideal lip shape? The ideal lip shape is a matter of taste and time. Lip styles follow social cultural moves and socio-economic factors just like fashion and music. This is most evident by looking at the leading ladies of the silver screen whose lip shapes dictate what is presently en vogue. One thing's for sure, lip shape is no reflection on one's health. The war years were austere times but also burgeoned female independence. Women learned they needn't be tied to the house, they can do the work of a man e.g. land girls. The straight lip style of Greta Garbo and Marlene Dietrich were all the range, oozing serious sensuality. Rita Hayworth, Joan Crawford and Bette Davis proudly displayed the full symmetrically-styled mouths in the 40s. Femme fatales were in force in the 50s with the likes of Marilyn Monroe whose slinky look preceded the more provocative pout of Brigitte Bardot who was a strong symbol of sexual freedom in the 1960s. Women were able to break from social conventions and explore their own boundaries. They fought for their social and political rights and they seemed unafraid of their sexuality. Lip colours reflected this with glittering crimson or burgundy. In fashion, women and men alike play with the idea of reverse gender roles. The transvestite chic of Boy George and the fashion of Vivienne Westwood convey “tribal identity”. The bold, dark and wide lips of the 80s was positively punk. Anything goes. With the introduction of Supermodels, the likes of Cindy Crawford, Naomi Campbell and Linda Evangelista the identity of female beauty was apparent. Browns underwent a revival, but both dark and bright lip colours were in demand. The natural mouth shape makes a come back. It’s about a return to our basic needs, and in a declining economic climate, a new appreciation for the bare essentials. Soft and warm shades are prominent. Pastels and shimmering shades of beige, pink, and apricot reflect women’s desires to embrace their own natural beauty in the search for eternal youth and happiness. So far all I can see is it's not about the eyebrows! Watch this space!